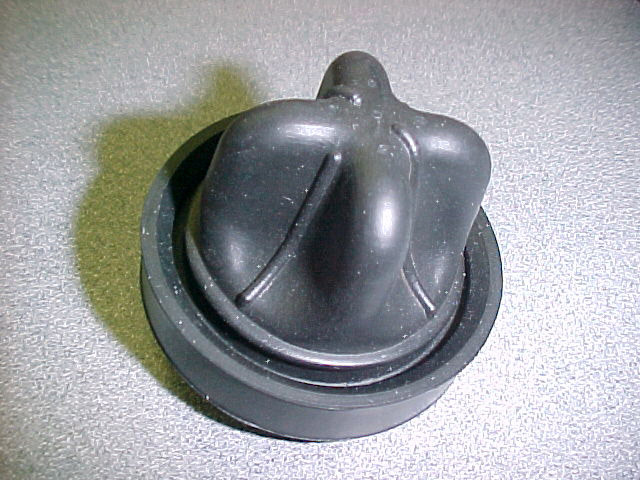 Lenard Tool & Machine, Inc. (LTM) was contracted by a US Automotive firm for the creation of an injection mold for the EPDM diaphragm featured here. Initial assessments revealed that LTM would have to design a high quality, cost-effective mold solution capable of casting the intricate layout of the diaphragm. Design of the mold was performed in CAD/CAM software, taking into account the customer's specific requirements as well as the complex geometry of the diaphragm. LTM created a design that incorporated its own T-slot core bar shuttling technology, in the form of cavity bars that slide out with the core bars. 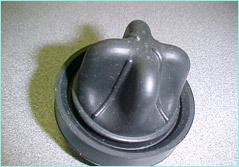 A de-molding fixture was custom designed to allow for easy de-molding from these specialized cores. Input from the molder was included throughout the design phase. The fabrication process was specified to contain CNC-based turning and milling for the primary material removal, along with bead blasting and surface grinding procedures. This allowed for excellent dimensional precision in the 0.032" part thickness, with tolerances of ±0.001". 420 pre hardened stainless steel was employed for the cavity plates and bars, as well as the core bars. A full evaluation of geometrical accuracy and mold operation was carried out after fabrication. Delivered in only 6 weeks, LTM brought to the customer a well-engineered, high-performance product that was designed with their needs in mind. An industry-leading ability to bring a comprehensive and cost-efficient molding solution in a timely manner was strongly demonstrated here. Every day LTM demonstrates the ability to resolutely satisfy customer after customer with efficiency, innovation, and complete solutions to the roadblocks molding production can pose. Contact LTM today to learn even more. Development of an injection mold with shuttling core bars with attached slide away cavity bars to mold an EPDM diaphragm for the automotive industry. Lenard Tool's t-slot system for shuttling core bars. Core bar de-molding fixture.